All of you must have remembered famous Pakistan Army Drama Serial Alpha Bravo Charlie that was came on PTV many years back and it got great popularity all over Pakistan. 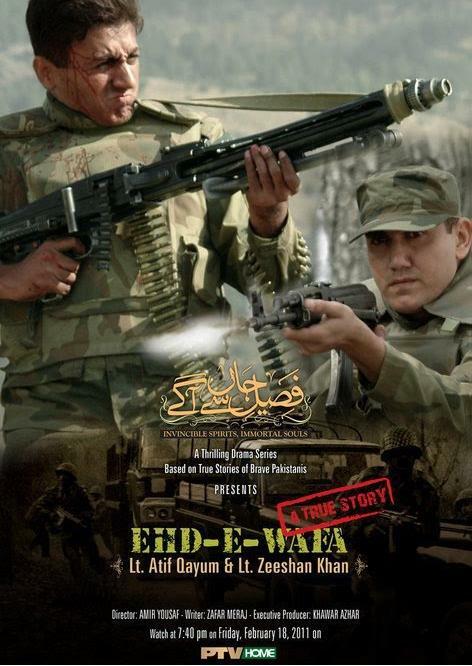 Soon PTV Home is going to telecast a New Drama Serial about Pakistan Army named Ehd E Wafa in a few weeks. Here is the Poster of this Drama Serial.